If love grew from the ground, it might be a sun-ripened tomato. And now it is August in the Northeast, when an abundance of the succulent fruit momentarily clouds memories of beautiful – yet tasteless – imported produce. But love, and organic tomatoes, do not ripen without patient labor and battles with anxiety. 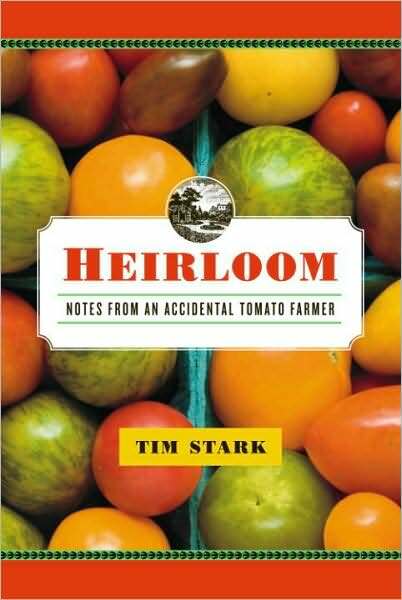 Farmer and writer Tim Stark illustrates the latter with chaotic flair in Heirloom: Notes From An Accidental Tomato Farmer. To read a full review and listen to an interview with the author, click here.